Complementing Frisky and Shearer's useful one-volume source of information, State Names, Seals, Flags, and Symbols, this book provides the music and lyrics for the official songs adopted by the state governments. Arranged alphabetically by state, each song has a single vocal line over a piano accompaniment, with one verse only under the vocal line and remaining verses appearing separately. Each entry includes the date the song was adopted, the name of the composer, and in some instances, a brief history of the song. 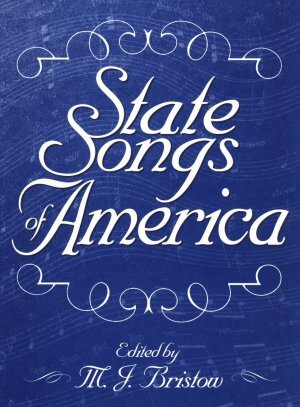 The book will be a useful reference for those wanting to perform a state song or to find the official songs of other states. Announcement to save the book after 9 years! Unfortunately the current publishers, Greenwood Publishing Group Inc in Westport Connecticut are not willing to publish a 2nd Edition due to poor sales; however the 1st Edition of 2000 is still currently available for the foreseeable future on a print-on-demand basis. Should you wish to contact the publishers about their regrettable decision, then please e-mail: sales@greenwood.com or e-mail Michael directly: mjb@michaeljamiesonbristow.com. There are few reference librarians who haven't been confronted with the dreaded state-song request at least once in their careers, and this book provides the solution, offering both words and music. A helpful reference for any musical or state-history collection. I have a weakness for reference tools that accomplish their tasks simply and efficiently. This new compendium does just that.